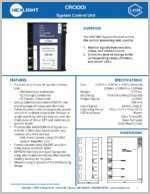 The CRC1001 System Control Unit is the central processing unit of the NexLight 2-Wire Lighting Control System. It monitors signals from switches, relays, contact inputs, and timeclocks to direct the desired change in the corresponding relays, dimmers, and swtich LED's. 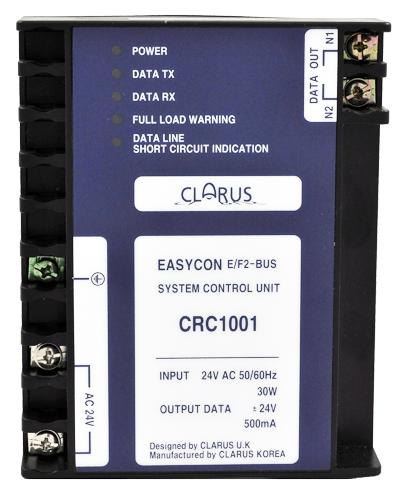 This device is the origion of the 2-Wire databus that provides signal and power to 2-Wire devices and provides system memory via EEPRIM memory storage that eliminates the need for battery backup for 10 years.